Lemurs are the most endangered creatures in the world with 95 per cent of all lemur species close to extinction, according to new data released this month. The updated IUCN Red List for Threatened Species found that 105 out of 111 lemur species are threatened with extinction. This makes lemurs, only found on Madagascar and some small neighboring islands, the most endangered species in the world. Deforestation on the island is one of the main dangers to the population, together with illegal bushmeat hunting, and the illegal capture of the primates for use as pets. Research carried put in 2015 found that 28,000 lemurs were taken from the wild and kept as pets over a three year period. “This is, without a doubt, the highest percentage of threat for any large group of mammals,” said Russ Mittermeier, Chief Conservation Officer for Global Wildlife Conservation. Mr Mittermeier said that the extinction of lemurs would pose a “grave threat” to Madagascar’s biodiversity as its unique species are its “greatest asset” and the basis for the ecotourism industry. Amongst the most endangered lemur species are the indri, the largest living lemur, Madame Berthe mouse lemur, the world’s smallest primate, and the unique blue-eyed black lemur, one of few primate species with blue eyes. 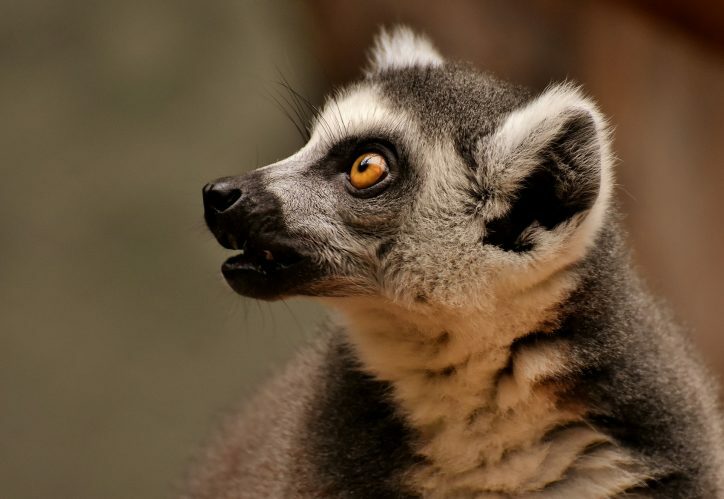 “This is very alarming, and we have noticed a particularly worrying increase in the level of hunting of lemurs taking place,” said Christoph Schwitzer, director of conservation at the Bristol Zoological Society. Mr Schwitzer said that large-scale commercial hunting is a new threat “unlike anything they have seen before” in Madagascar. Global experts met in Madagascar recently to discuss possible solutions to the issue, with a new Lemur Action Plan planned set to see daylight in the upcoming year. It is hoped that the new action plan will help to improve the previous 2013 plan that succeeded in raising more than $8 million to go toward saving lemur populations from extinction.